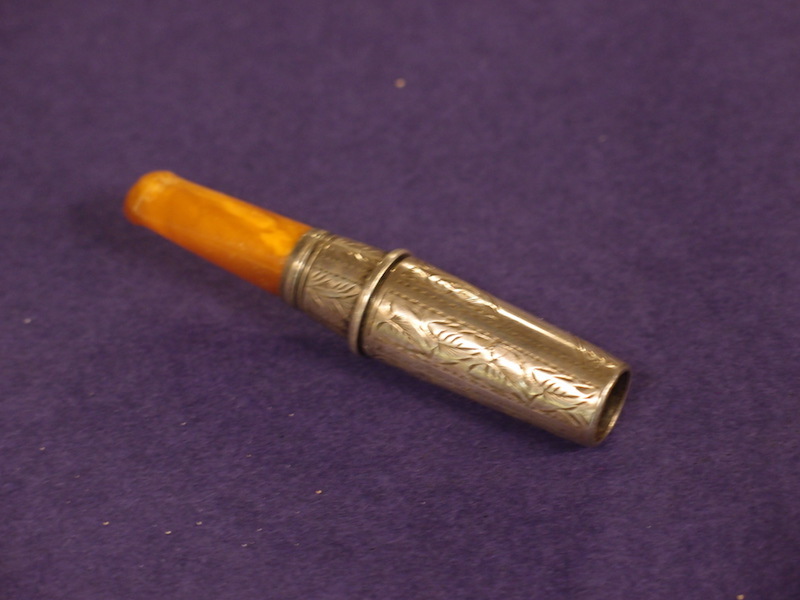 This cigarette holder is Birmingham, 1903, and is 7 cm long. It is by Henry Williamson Limited. It screws apart, perhaps to accommodate a filter? The sterling silver is finely engraved. The amber mouthpiece is not chipped nor cracked, rather surprisingly.